James Wattana or "Thai Tornado", is the first Asian player who has accomplished in professional tournaments so far. 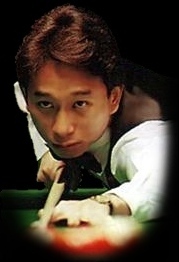 Born in Bangkok in the area known as "Klong Tei", James Wattana showed crowd his snooker talent since the age of ninth. Even though his height was not enough to pot the balls on the table, standing on a soda crate is the way for him to reach the table and gain experience by that time. Supported by his family who own snooker clubs, James got a better chance to meet other well players who came to play at his club and who often shared him tactics of snooker. James started to gain reputation from Thai crowd when he won several main tournaments held in Thailand and Asian countries. But one of his major success which inspired him to turn pro is the crown of World Amateur Championship gained in 1988. Until 1993/94 season, James reached the top four, being the third after Hendry, Steve. This was basically contributed by the victory of the1994 Thailand Master Open. He still kept his crown of Thailand Master Open in the year later, by beating Ronnie O'Sullivan 9-6. Since then, James has never won any tournaments. Currently, his performance is being considered to be far out of his standard.